When refurbishing your site or play area, budgetary constraints can seriously limit your options. If you’re investing in new equipment, you may not have much cash left over for surfacing works, so it’s important to seek out the best value-for-money options. 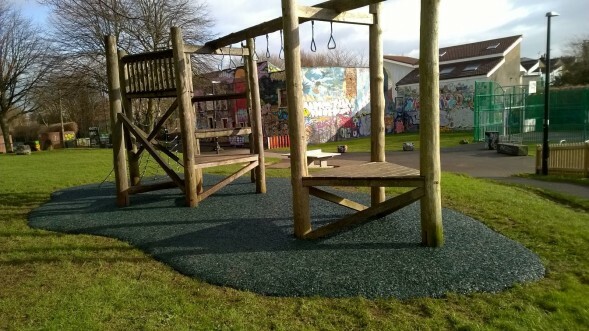 Here at PlaySmart, there are two budget playground flooring solutions we’d recommend, which provide quality and protection without breaking the bank. Budget playground flooring solutions – what are my options? Grass mats are a great choice for surfacing any area, as they’re an affordable solution for both small and large spaces. Plus, with extra support from PlaySmart’s SmartPlay system, you can really maximise their fall-height coverage. The costly price of ground works is often eliminated with grass mats, as they’re ideal for overlaying onto existing safety surfacing. Which also negates any charges for removal of the previous flooring. Another important factor to consider is the longevity of the product. Good quality grass mats that don’t skimp on materials should be durable enough not to rip or tear with use. If any repairs are required as a result of accidental damage or vandalism, costs will be minimal as only the affected mats need replacing. Good quality rubber mulch is made of more expensive materials than grass mats and therefore has a relatively higher price. But one way you can still maximise your budget and keep costs down is to overlay it onto existing surfaces like wet pour or tarmac. When looking at mulch options, it’s vital that you consider the lifespan of the surface and both the product and installation guarantees. These ensure the product will be well laid, reducing potential problems in the future that may require costly rectification. These guarantees also help protect against aesthetic damage, such as colour fade. 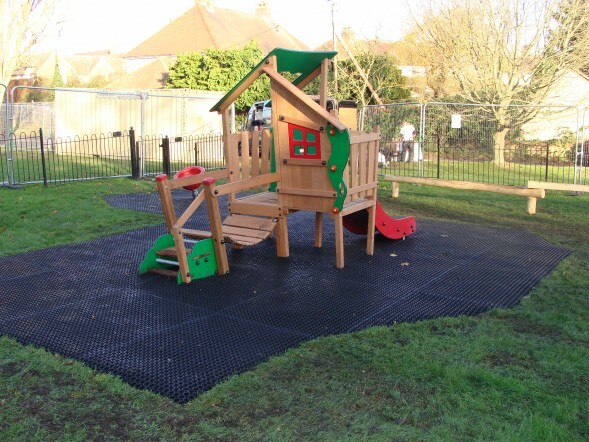 If you’d like to discuss playground flooring options for your premises, get in touch with the team here at PlaySmart. You can request a quote here, or give us a call on: 01564 742 811.